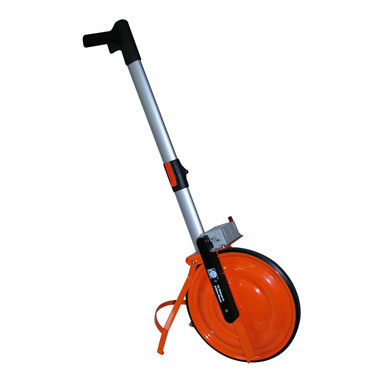 The Nedo Super Measuring Wheel is equipped with a robust counter, installed shock-protected above the wheel. The counter is driven by a toothed belt. This Nedo measuring wheel counts forwards and backwards and is reset to zero with the reset lever. The locking brake is integrated into the rest bracket.